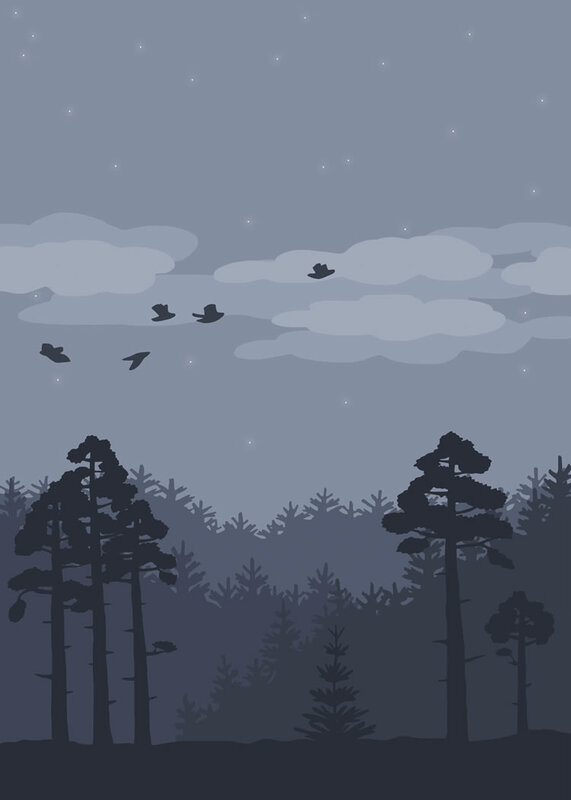 Poster with silhouette of pine and fir forest with birds flying against night sky. In a series of three posters, the artist Tilda Dalunde experiments with “border landscapes” and the feeling of experiencing a saga – on the border between day and night and on the boundary between tranquility and adventure. She leaves room for the viewer to fill in with her own details so that the images can become the starting point for day or night dreams. Restful art print or poster in smooth gray-blue-purple.